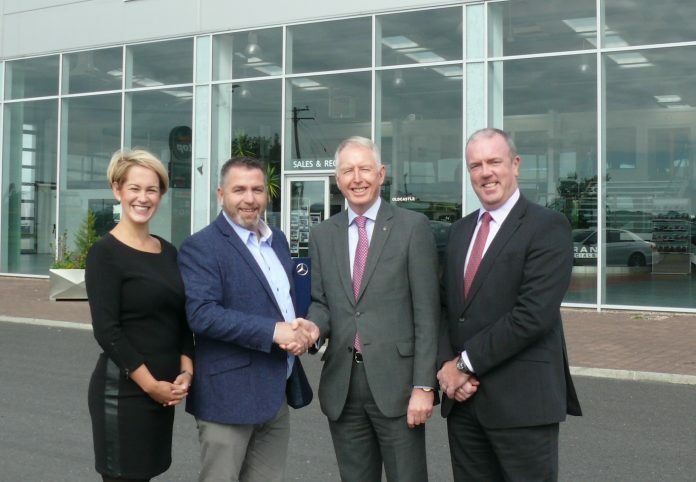 Mercedes-Benz Commercial Vehicles Ireland has appointed Joe Curran Commercials Ltd, Oldcastle, County Meath as its new truck sales and after-sales dealer for the Midlands area. Operating since 2009 from a purpose built 2,500 square metre premises, Joe Curran Commercials will also service the Mercedes-Benz light commercial vehicle range. Onsite the premises also boasts a full RSA CVRT centre complete with ADR approval. Welcoming the appointment Mercedes-Benz Commercial Vehicles Sales Manager Fergus Conheady said: “We are excited to be extending the reach of Mercedes-Benz trucks through the midlands and welcome a proven operator in Joe Curran Commercials Ltd to the Mercedes-Benz family”. The appointment sees the Mercedes-Benz truck sales network extended to seven dealers with after-sales increasing to 11 and 14 outlets nationwide for HGV and LCV respectively.